Reports that Col John E. Tilton has been removed from his position on the Civil Air Patrol’s Board of Governors (BoG), where he was serving as vice chairman, appear to be true. CAP’s National Executive Council (NEC) apparently voted to remove Col Tilton in a closed door session at an NEC’s meeting earlier this month. 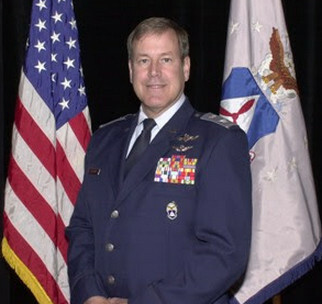 Col Tilton was removed for being consistently oppositional to Maj Gen Amy S. Courter‘s leadership, and, in particular, for upholding any moves made by disgraced former CAP national commander Tony Pineda, though Pineda was removed from office and stripped of his rank and his membership two years ago, in October 2007. Most recently, Col Tilton opposed the vote to do away with the “Banana Republic/Danny Kaye” uniform with full banana leaf clusters Pineda designed. Only one member of the BoG voted against removing Pineda. That vote was Col Tilton’s, though apparently the vote of Gen Rick Bowling, the recently termed-out chairman of the CAP’s BoG, was a near thing. Bowling and Pineda go way back, as NOTF has reported, and rose together out of the CAP’s Southeast Region. Col Tilton is a former Alabama Wing Commander who was made Southeast Region Commander by Pineda, then became the CAP’s national safety officer and then was made a member of the CAP’s BoG just before Pineda was removed from office. Col Tilton is also suspected of being a major leak from BoG meetings to Ray Hayden, an independent blogger whose revelation that he cheated by taking U.S. Air Force Air Command and Staff College exams on behalf of Pineda and two of his cronies ultimately brought Pineda down. The other suspect for the leaks is CAP Vice Commander Brig Gen Reggie Chitwood, also a late Pineda appointee. It will be interesting to see if the leaks to Hayden continue. The removal of Col Tilton is only the latest in a series of events that have caused NOTF to believe there is a power struggle going on in the CAP. The struggle appears to be between an old, entrenched cabal of long-term and corrupt senior officers, many coming up from its Southeast Region, and gathering around Bowling and Pineda, and the new leadership under Maj Gen Amy Courter. Be the first to comment on "Col Tilton Removed from Board of Governors"